Cash Wise: No Foolin' One Day Sale 4/1 Only! Tomorrow, Friday April 1st Cash Wise is having a special No Foolin' One Day Sale! These prices are only valid on 4/1, so hurry over to Cash Wise to snag these deals! Wow! Those are Expensive Pickles! Let's hope this was a misprint (or that those are some darn special pickles). SunMart locations in the Fargo Moorhead area double coupons everyday up to $1. Coupons less than $0.50 double their face value automatically. Coupons with a face value from $0.50-$0.99 double to be worth $1, and coupons with a face value higher than $1 are accepted at face value. Before you shop, check out the Our Family printables and the Nash Brothers printables! And, don't forget the new list of Current Catalina Offers at SunMart! Purchase 3 Kellogg's Cereals 8.7 oz or larger, get a Catalina coupon for a FREE gallon of milk (up to $3.59) on your next shopping order! Plus, use the in ad SunMart coupon for 3 FREE Kellogg's Cereals when you buy 4 participating cereals! Head back over here for coupons and scenarios. Final price: as low as $0.59! Final price: as low as $0.39! Final price: as low as $1.19! Lots of New Con Agra Printable Coupons! 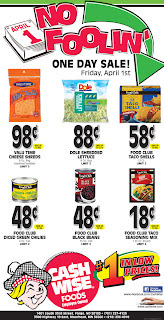 SunMart Catalina Deals through 4/17/11! These are the confirmed Catalina Promotions that are running at SunMart stores through Sunday 4/17/11. These are deals I've seen posted on the shelves, received a printout for at the store, deals readers have confirmed and deals that have been confirmed on CouponNetwork.com. To read more about Catalina promotions and how to make the most of them, read up on Catalinas 101! Do you know of more to add? Please send an email or text a picture of the shelf tag to fmcheapskate at gmail.com! Thanks! HOT! $15 eBay Voucher for only $7 on Groupon! Check out today's HOT Groupon deal! 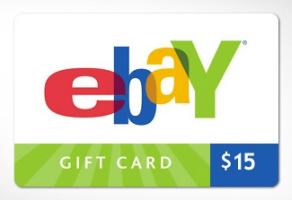 Get $15 to spend on eBay for only $7! This Groupon requires a Paypal account and an eBay account to purchase! 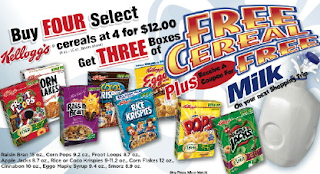 HOT Kellogg's Deals at SunMart this Week! Remember the Kellogg's rebate I told you about yesterday? There are several ways to use the rebate, coupons and FREE milk catalina promotion to get really inexpensive cereal this week at SunMart! Merissa over at Little House on the Prairie Living has a very thorough post on all the ways to make it work! She has a Family Thrift Center store that is running the same promotion. Check it out and go get yourself some deals this week! Thanks, Merissa! Remember, all cereals you want to submit for the Kellogg's rebate must be 10 oz or larger! Some of the cereals included in the sale do not qualify for both. Fargo Moorhead Cash Wise locations double coupons everyday up to $1! Coupons less than $0.50 double their face value automatically. Coupons with a face value from $0.50-$0.99 double to be worth $1, and coupons with a face value higher than $1 are accepted at face value. Be sure to check out the new list of Current Catalina deals at Cash Wise! Chocolate Fudge or Milk Chocolate Pillsbury Brownies, 19.5 oz FREE with Cash Wise in store coupon and $30 purchase! Final price: $0.50 for 3, only $0.17 each! Food Club String Cheese, 8 oz $1! Final price: as low as $0.50 each! Lynden Farms Potatoes, 32 oz $1! These are the confirmed Catalina Promotions that are running at Cash Wise stores through Sunday 4/17/11. These are deals I've seen posted on the shelves, received a printout for at the store, deals readers have confirmed and deals that have been confirmed on CouponNetwork.com. Plus, reader Alicia emailed to let me know that she got a $1 Catalina coupon for buying 2 Quaker Rice Snack bags (the small bag). I can't find details any more information on this one, such as an end date but you might check the shelf for a tag with more information! Thanks Alicia! HOT New Kellogg's Rebate + Coupons! There is a new $10 Kellogg's Rebate available that should make for some really sweet deals on Kellogg's cereals! Purchase 10 participating Kellogg's cereals and receive a $10 pre-paid Mastercard! You may submit up to 5 of these per household (1 per envelope) and you have through 12/31/11 to submit them! No doubt we will have several opportunities to take advantage of this rebate before then! Find several Kellogg's printable coupons here to snag even better deals on this rebate! New Quizno's Coupon: Any small sub $2.99! I love this coupon! The Quizno's $2.99 Small Sub coupon is back! This time, choose any small sub for $2.99! Plus, if you haven't signed up for the Q Club, sign up to receive emails and your coupon will be "upgraded" to include a FREE Cookie as well as a small sandwich for $2.99! 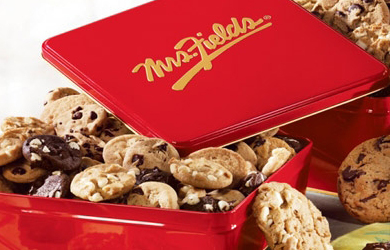 SaveCoin: $5 for $10 at Mrs. Fields Cookies! Head over to SaveCoin today, where you can get a $10 voucher to use at Mr's Fields Cookies at the West Acres Mall! Use the $10 voucher toward cookies, brownies or decorated 16" cookies! Limit 2 per person, and they don't expire til 6/30/11! Look for 3 inserts this weekend, 2 SmartSource inserts and a RedPlum! I always recommend buying the Star Tribune in our area. Looks like 3 good sized inserts this weekend! 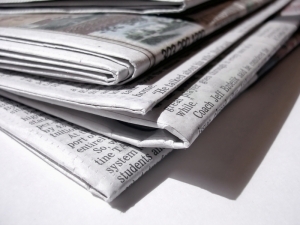 In our area, the Saturday Star Tribune usually carries only the SmartSource inserts, with the full set of inserts in the Sunday Star. To see the full preview, head over to the Sunday Coupon Preview! Here's a high value Huggies printable! Save $1.50, or share with 3 friends and get a $3 printable coupon good on any Huggies! Bath & Body Works Freebie: 2 oz Lotion! 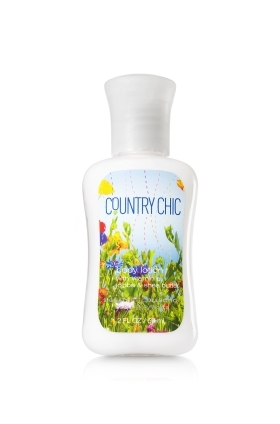 While supplies last today and tomorrow, March 25-26 Bath & Body Works is offering a FREE 2 oz sample of their new Country Chic lotion. Just print this coupon and take it in for your FREE sample, no other purchase necessary! HOT! 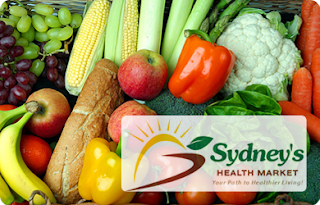 $12 for $25 at Sydney's Health Market in Moorhead! Only 250 Available! Today's SaveCoin deal is HOT! For anyone trying to save a buck on organic or natural groceries, hurry over to SaveCoin to purchase a $25 voucher to Sydney's Health Market for only $12! Wowzers! There are only 250 available, and the limit is one per person. You may buy a second voucher as a gift. Here's the best part, store credit will be issued for unused portion of the voucher! So, you don't have to use it all in one visit. I love, love, love this deal. It's so encouraging to see an easy way to save money while eating better! If you've never been to Sydney's, this would be a great way to check them out! They are located near CVS off of I-94 and 8th St in Moorhead. Head over to SaveCoin to view and purchase your deal! FREE Red Gold Apron (MN Residents)! What a fun freebie! In my opinion, one can never have enough aprons to wear around the house! 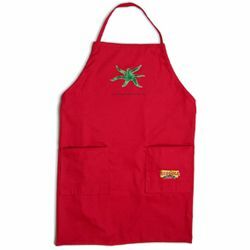 Residents of KS, MN, MO, OK, TN, or TX can sign up for a FREE Apron from Red Gold! The site has been running slowly for a few days, but I finally just got my page sent through with no problems! Allow 8-10 weeks for delivery. Offer valid through 3/31/11 or while supplies last! 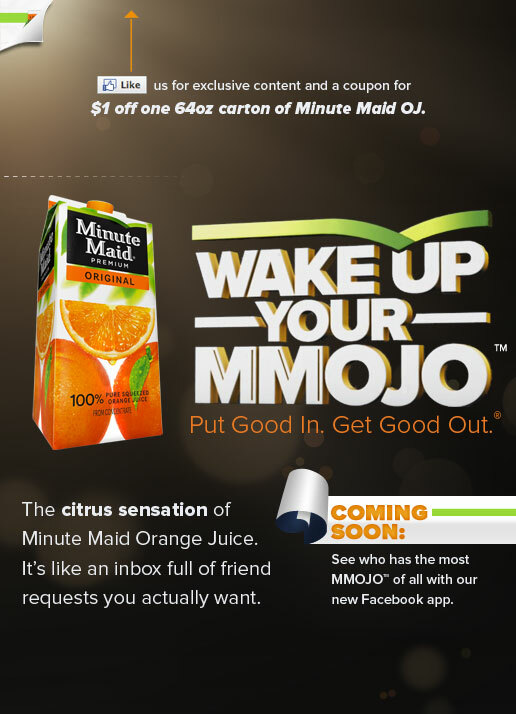 2 Great Juice Coupons on Facebook! Hurry to print these 2 high value juice coupons on Facebook! Plus, For The Mommas has an interesting article with more info for those of you that want the Facebook deals and coupons, but don't want a personal Facebook page. Final price: as low as $0.89! Final price: as low as $1.49! Final price: as low as $3.49! Birds Eye Vegetables (12 oz Steamfresh Corn, Peas, Broccoli Cuts, Green Beans, Mixed Veggies) FREE with Cash Wise in store coupon and $30 purchase! Buy 4 or more, get a $3 Catalina! Look for $1 off produce when you buy 2 dressings coupons on the shelf near the products! Betty Crocker Pizza Crust Pouches $0.25 when you buy 4 with Cash Wise in store coupon (Limit 4)! Food Club Lasagna, 16 oz $0.88 with Cash Wise in store coupon (Limit 2)! Plus, use the in store Manufacturer's coupon to save $2 on chicken when you buy 2 Kraft Homestyle! Plus, buy 3 and get a coupon at checkout for a FREE Gallon of milk! If you would normally be paying $3 for the gallon of milk, you could consider the cereals to be only $0.34 each after the milk coupon! Final price: $0.75 for both! Final price: as low as $3.48! Wow, that's a lot of yogurt. If you have a use for it all or would freeze part to eat later, this is a great price! Final price: as low as $1.46! Unit price is $0.05/oz, or like paying $1.60 for a 2 lb bag - a pretty good price if you can use them all. Reminder: FREE Photo Book Expires Tomorrow! 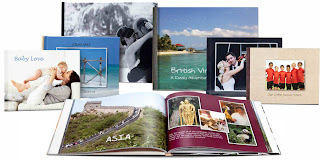 Remember the FREE Picaboo Photo Book offer I shared with you last week? Tomorrow is the last day to take advantage of this awesome deal! Head over to Picaboo to get started now and use code FREECC to pick up a 20 page Classic Photo Book ($39.99 value!) for the cost of shipping, only $8.99! Remember, this offer is only for those of you new to Picaboo! I wanted to highlight a few of the deals at Hornbacher's this week in spite of not having (or making) time for a full post. Life hasn't allowed me to do all I've wanted recently, and I'm sorry to those who shop regularly at Hornbacher's, timing just lands it on the list of things don't can't always get done. It won't always be like this, at least I hope not! These deals are available through Tuesday, 3/22! This cereal doesn't usually go much lower in price! Seedless Red and Green Grapes $1.68/lb! SaveCoin: $10 for $20 to at Jalapenos Restaurant! 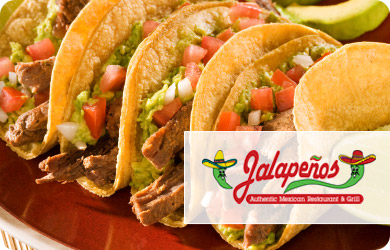 Today's SaveCoin deal is for Jalapeno's Mexican Restaurant and Grill. I've not eaten there before, but I've heard great things. Have you eaten at Jalapeno's? Let us know how it was! Anyway, get $20 to spend at Jalapeno's for only $10 at SaveCoin! It looks like this deal is available to purchase through Wednesday, or while supplies last! Plus, Jalapeno's will allow you to use 2 $20 vouchers with a party of 4 or more! Otherwise, the limit is 1 per table. You can purchase up to 3 per person and they don't expire til 6/30/11! For more info and to read the details, head over to SaveCoin! 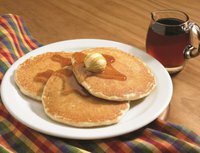 Perkins: FREE Pancakes Today 3/21! Perkins is serving up FREE pancakes to all guests today til 10 PM! As a thank you, they would ask that you consider a donation to "Give Kids the World," a non-profit organization that provides week-long vacations to children with life-threatening illnesses and their deserving families. What a great cause to support! Fargo Perkins is participating! If you eat at another Perkins, you may want to call ahead just to be sure! For more info, head over here. 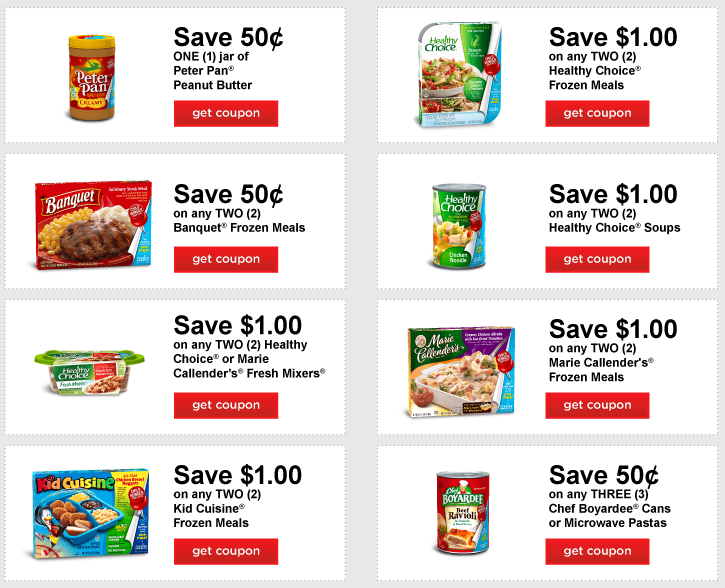 Cash Wise: Kraft Deal + Catalina Offers ending today! Wow, if last week wasn't awesome enough at Cash Wise, check out the Kraft deal going on this week! Buy 10 participating Kraft items, use Cash Wise in store coupon to save $5 (or $0.50 per item). Then, stack with Manufacturer's coupons for even more savings! And, my personal favorite, know the catalina offers for even more savings! 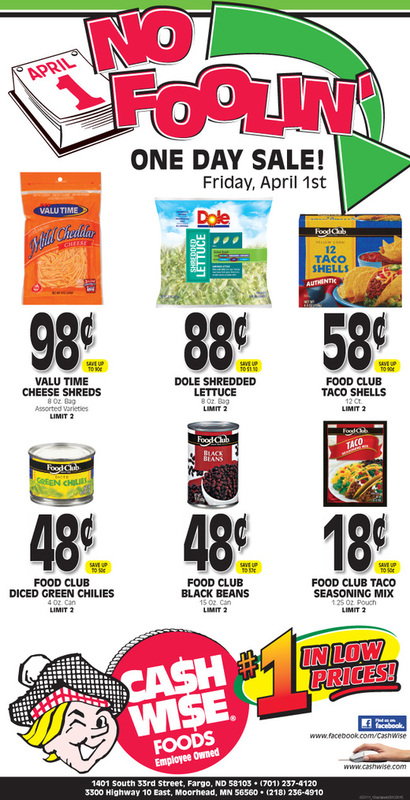 Here are the current Catalina offers at Cash Wise and there are a few Kraft catalina's that overlap - and one ends today! Buy 3 participating products, get $2.00 off next shopping order. Buy 4 participating products, get $3.00 off next shopping order. Buy 5 or more participating products, and get $4.00 off next shopping order. Buy 2 participating products, get $1.00 off your next shopping order. Buy 3 participating products, get $2.00 off your next shopping order. Buy 4 or more participating products, and get $3.00 off your next shopping order. Final price: $4.40 for all 10 items! Remember the Velveeta catalina offer ends today, 3/20! HOT $4 off 4 Fruit Snacks, Bugles and More Coupon! Check out this awesome coupon! Head over to the Winco Coupon Page and look for the $4 off any 4 coupon. This Manufacturer's coupon is good on any 4 Betty Crocker Fruit Snacks or 6 oz + Bugles, Chex Mix or Gardettos. Use this at Cash Wise tonight to get 4 FREE Betty Crocker Fruit Snacks + a $2 Catalina coupon with the weekly deals ending today. $2 Moneymaker! Wahoo! It should be easy to find deals with this coupon, but don't wait to print it. I'm sure it will go quickly! This is on another store's coupon website, but prints as any other manufacturer's coupon and is valid anywhere, with no mention of that store on the coupon. Reminder: Get Together + Coupon Swap tomorrow! Don't forget to head out to West Acres tomorrow morning for our monthly Get Together + Coupon Swap! Come and go anytime from 10 AM to Noon. If you're looking for specific coupons, leave a message on the Coupon Trades Page and hopefully someone will be able to help you out! 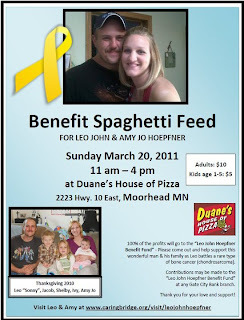 Spaghetti Benefit for Leo Hoepfner Family! Friends and family of the Hoepfner family are hosting a Spaghetti Benefit Dinner this Sunday March 20, with all proceeds benefiting the Leo Hoepfner Benefit Fund, to cover the family's medical, travel and living expenses during this time of crisis. I don't know this family, but it is a friend of mine's family, and that brings it close to home for me. You don't need to know them either to come out and support them on Sunday. And, you'll get an awesome spaghetti dinner out of the deal! The benefit is being held at Duane's House of Pizza on Highway 10 in Moorhead from 11 AM - 4 PM on Sunday. Adults contributions are $10 and kids ages 1-5 are $5. I am a big fan of supporting families in need by attending benefits like this and thought you might like to know about it as well. I am a self-proclaimed cheapskate, but I think it's important to be rich in giving. Attending a benefit is such a blessing to the family or individual in need. And, it's nothing out of your pocket but what you'd spend on a meal out anyway! I know from personal experience the blessing my family received from a benefit put on for us when my husband Nate needed an unexpected heart surgery just after we were married. There was no way for us to completely provide financially for ourselves and our medical costs at that time, and that is often the case for families facing medical issues. I still am grateful to those that put in time planning the benefit, but also for those who came out to eat spaghetti that night! 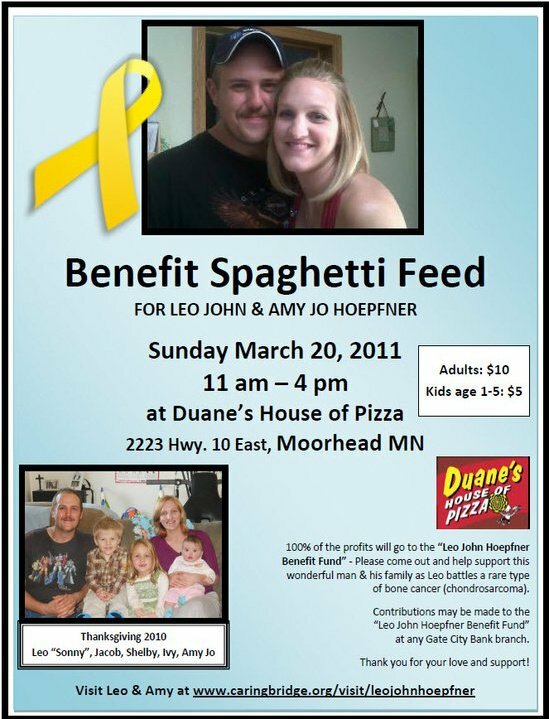 Please consider heading over to Duane's in Moorhead on Sunday, or consider making a donation to the "Leo John Hoepfner Benefit Fund" at any Gate City Bank. Did you get in on yesterday's SaveCoin deal for Santa Lucia? Well, if not you're in luck because it's been extended through midnight tonight! 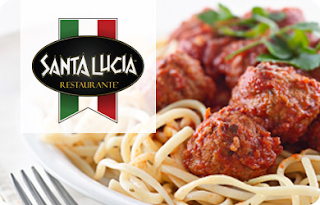 Buy a $20 Voucher to use at Santa Lucia Restaurante for only $10! The voucher is available through tonight, Friday at midnight and expires on 9/30/11, so you'll have plenty of time to use it for a yummy and fun night out! Head over to SaveCoin to see the deal! 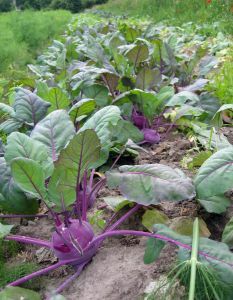 Today's guest post comes to use from Stacy who blogs over at The Full Circle Gardener. In addition to being a fabulous frugalista, she is one of my great friends. I taught her how to coupon and now she is returning the favor by teaching me how to garden. Thanks, Stacy! There are so many benefits to backyard gardening. But all of them aside, I garden because I love gardening. I love that my children can eat peas, cucumber, carrots and other produce as they play in the backyard all summer long. I love what I can teach my children right in my backyard, and... the list goes on and on. So, how does one be a frugal gardener and keep it as economical as possible? Here are a few things that I have learned in my adventure as a 'full circle gardener'. Always be on the lookout for free or nearly free items that can replace items purchased at retail prices. Right now I am in the process of starting seedlings. Instead of going to the local garden store for containers, I am using kitchen plastic (yogurt, cottage cheese, sour cream containers), aluminum baking tins, and plant cells from my friends, family and neighbors. One can be very creative with decorative containers for flowers and landscaping as well. One year I came across a child's riding tractor wagon that was my husband's when he was a kid. It was old, rusty and no longer usable as a toy, but sure made a cute rustic planter! Containers are the easiest thing to scavenge, but also keep your eyes open for a friend or neighbor who has cows or horses... they are probably looking for somewhere to get rid of manure. Talk about great, free fertilizer! Do you have a neighbor who doesn't use lawn chemicals that would be willing to let you take the lawn clippings off their hands? You have just found free mulch and composting material! Get the idea? Be a scavenger! Composting is one of the simplest and most frugal garden adventures one can take on since you can do it without purchasing anything! It reduces your landfill input and provides you with free nutrient rich organic matter! What could be better? All of your uncooked veggie scraps, egg shells, shredded paper (newspaper, office paper, napkins, paper towels), hair (human or pet), untreated lawn clippings, etc. are compost-able. A compost “bin” can be as simple as an uncontained pile in a back corner of the yard, a pile contained by a circle of chicken wire, or a pre-made, designed composter. I purchased an Earth Machine Composter from the City of Fargo at a reduced rate a few years ago. It is a great deal for those who want to keep that pile contained, hidden from the view of neighbors and decrease the time it take to get a good usable product! Share or exchange seeds with friends and neighbors or attend a local seed exchange! For most urban gardeners, there are more seeds in one package than they will plant in one year. Here is a great opportunity to split the cost with a friend. Or, save the seed and use it again next year. All seed packages are dated and the viability reduces with age, but I have used seed from packages that are 3-4 years old and had good germination. The Full Circle Gardener is hosting a Seed Exchange event next Saturday, March 26 at West Acres Mall in the Food Court from 10 -11:30 AM. It will be an informal way to meet other local gardeners, receive seed you can plant and share your extra seed with others! Collect and save your own seeds! This is especially easy with flowers, but can be done with heirloom veggies as well. The trick is being sure the seeds are fully mature, dried and labeled so that you know what you have when you're ready to plant the next season. Use untreated lawn clipping, leaves, dry manure or chipped wood to mulch your flower beds and veggie garden. This will reduce your need to water. Water, for the urban gardener, can be the most expensive part of home gardening, so any way you can reduce this expense is very helpful! In Fargo, free wood chips are available to residents during clean-up week and again in the fall. Gardening may not be the absolute most inexpensive way to obtain produce for your family, but these are some easy ways to reduce your expenses and provide yourself and your family with the benefits and adventure of backyard gardening! Be sure to check out The Full Circle Gardener if you are looking for a step-by-step guide to backyard gardening. I'd love to share the adventure as a “full circle gardener" with you! FM Cheapskate here: Fargo offers free compost as well as wood chips to Fargo residents. See the City of Fargo's website for more info and dates. Clay County and Moorhead residents may pick up free compost and wood chips any day at the City of Moorhead Compost Facility. Thanks Stacy! Be sure to visit her over at The Full Circle Gardener! Head over to the StarKist Facebook page today and every Friday to print a $0.50 StarKist coupon! This will easily make for FREE or inexpensive tuna when doubled and combined with a sale! Groupon: $35 for $70 to Spend at MODE in Fargo! This is a HOT deal available only til midnight tonight! 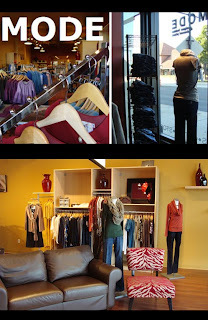 Groupon is offering $70 to spend at MODE in Maple Grove, MN OR Downtown Fargo for only $35! This Groupon voucher is good toward sale merchandise as well! $10 for $20 to spend at Santa Lucia in Fargo! Today's SaveCoin deal is $20 to spend at Santa Lucia Restaurante in Fargo for only $10! What a yummy Restaurant! I will always remember it back in it's little location (now it's near Paradiso) because it was where my husband took me many years ago on our first date! Needless to say, it's a good memory! This deal is available today only! Check out the details of the deal and purchase over at SaveCoin! Plus, there are 2 Catalina Offers at SunMart that overlap the Kraft offer: Jello and Velveeta Shells and Cheese. For more information on these and all the other current Catalinas, see the list of Current Catalina Offers at SunMart. Red Grapefruit, 5 lb bag $3.49! Buy 5 or more, get a $4 Catalina! Double Bonus: these qualify for the Buy $30, get $10 Kraft Catalina as well! Pay $9, get a $4 Catalina! Plus, the $12 goes toward the $30 total needed to get the $10 Kraft Catalina! Final price: as low as $0.79! Check the shelf tags and let me know if you happen to get this catalina! Final price: as low as $0.50! Final price: as low as $0.67! Final price: as low as $0.99! Once you've joined RecycleBank, head over to the "Earn Points" page for some new opportunities to earn points, which you can redeem for coupons! Right now, get a $2/2 Earthbound Farms Organic products coupon for 50 points, and a $2 off any Kashi product coupon for 50 points! If you've not joined RecycleBank, it's FREE to join and FREE to earn points! Check out the new list of Current Catalina Deals at Cash Wise! Know of any others I should add to the list? Email me at fmcheapskate at gmail.com! Malt-O-Meal Cereal (Frosted Mini Spooners 27 oz, Golden Puffs 23 oz or Frosted Flakes 21 oz) FREE with Cash Wise in store coupon and $30 purchase! Final price: as low as FREE! If you have these coupons and won't use the granola bars, consider picking them up to leave in the food pantry donation bins by the front doors at Cash Wise! It would be such an easy way to donate and the pre-coupon price for all 4 would go toward your $30 total for the FREE cereal! Plus, for every 2 jars you buy, use the $1 off beef when you buy 2 Classico sauces coupon from the 3/6 SS insert to get an additional $1 off beef! Food Club Canned Fruit, 29-30 oz $1.63! Buy 5 or more, get a $3 Catalina! Final price: FREE after coupons and Catalina! Or, if you want the Ritz Munchables, use the $1 printable instead of the in-ad coupon to bring your price to only $1.75 each! Final price: $0.69 each after coupons and Catalina! SunMart Catalina Deals through 3/20/11! These are the confirmed Catalina Promotions that are running at SunMart stores through Sunday 3/20/11. A few run longer, and I've noted those dates below. These are deals I've seen posted on the shelves, received a printout for at the store or deals that have been confirmed on CouponNetwork.com. Buy 3 Betty Crocker Fruit Snacks; Get $1.00 off of your Next Shopping Order. Buy 4 Betty Crocker Fruit Snacks; Get $2.00 off of your Next Shopping Order. Buy 5 or more Betty Crocker Fruit Snacks; Get $3.00 off of your Next Shopping Order. Buy 2 Cottonelle Moist Towelettes; Get $1.50 off of your Next Shopping Order. Buy 3 Cottonelle Moist Towelettes; Get $2.00 off of your Next Shopping Order. Buy 4 or more Cottonelle Moist Towelettes; Get $2.50 off of your Next Shopping Order. Buy 2 Reach Toothbrushes; Get $1.00 off of your Next Shopping Order. Buy 3 Reach Toothbrushes; Get $2.00 off of your Next Shopping Order. Buy 4 or more Reach Toothbrushes; Get $4.00 off of your Next Shopping Order. Buy four (4) Starkist Albacore Cans, Receive $0.75 off of your Next Shopping Order. Buy five (5) Starkist Tuna Pouches, Receive $1.50 off of your Next Shopping Order. Buy three (3) Ziploc Bags, Receive $2 off of your Next Shopping Order (through 3/16). Buy two (2) Ziploc Containers, Receive $1.50 off of your Next Shopping Order (through 3/16). Chili's: Kids Eat FREE Tonight! (3/14) and FREE Queso! Eating out tonight? Head over to print the coupon here then take it to Chili's tonight only (3/14) where up to 2 kids (12 and under) can eat FREE with the purchase of an adult entree! Head over here to request a FREE Beech Nut Toddler Welcome Kit! Allow 3-5 weeks for delivery. I've requested these freebies before, and they usually come with coupons! Cash Wise Catalina Deals through 3/20/11! These are the confirmed Catalina Promotions that are running at Cash Wise stores through Sunday 3/20/11. A few run longer, and I've noted those dates below. These are deals I've seen posted on the shelves, received a printout for at the store or deals that have been confirmed on CouponNetwork.com. Hornbacher's doubles coupons every day at all locations. Coupons less than $0.50 double their face value automatically. Coupons with a face value from $0.50-$0.99 double to be worth $1, and coupons with a face value higher than $1 are accepted at face value. Check out the new list of Current Catalina Offers at Hornbachers! Hornbacher's in-ad General Mills coupon: Save $5 when you purchase 10 participating items. 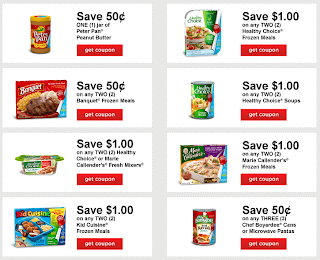 Price below assume a 10 item purchase and reflect the $0.50 per item savings. Final price: $0.25 each after coupons! Final price: as low as $0.25!